Allie dreams of winning a shiny gold medal. Or thrusting a trophy high into the air. Her whole family are winners. Except for her: the normal one. Her little sister is a rising TV star. Her brother’s a soccer prodigy. Even her great-grandpa has his medals. It makes Allie feel like a total loser. How can she avoid being left behind? 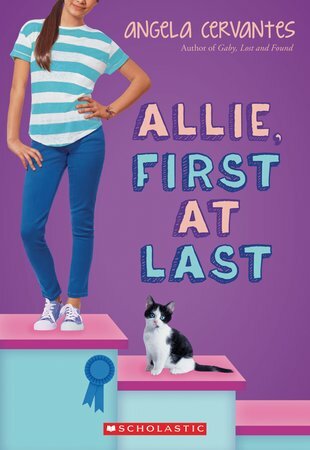 Maybe the big school competition will be Allie’s chance to take first place at last. But to win, she has to risk an old friendship. Will she end up losing it all? A sweet and funny story by the author of Gaby, Lost and Found.